We’re open 6 days a week with classes morning, noon and night. We offer a full complement of martial arts styles – Boxing, BJJ, Muay Thai Kickboxing, Judo and Submission Wrestling – and a conditioning programs designed to meet your individual goals. Recreation or competition minded, kids or adults, men or women, Action Reaction Mixed Martial Arts Academy is a clean, safe and nurturing environment for all. Call for more info or visit our website. Gracie Barra London is a gym where everyone is treated as family. The instruction is unrivaled lead by owner and head professor 1st degree black belt Fateh Belkalem. Visitors are always welcome and anyone wanting to see what Brazilian Jiu Jitsu is all about are encouraged to stop by to try out a class for free! We offer kids, teens, adult self-defense, adult beginners and adult advanced classes. We are open 7 days a week with numerous classes offered each day. Please stop by or give us a call so we can help you achieve whatever your goal(s) may be. Pricing Details: Call or stop by for pricing options! Evolve operates out of an 8,200 square foot facility with our own in-house equipment store. We invite you to come to our Academy and start your journey in Gracie Jiu-Jitsu! Our programs are Gracie Jiu-Jitsu (commonly referred as Brazilian Jiu-Jitsu), and Thai - Kickboxing program. We offer a 30 Day Free Trial for those interested in trying our great programs, many of our students have tried other martial arts such as Karate, Kung Fu, Taekwondo , Judo and Wrestling. But even if you have no experience then not to worry we have amazing beginner classes for you! Gracie Humaita is the only Academy in Woodbridge that offers the purest source for Gracie Jiu-Jitsu. Professor Dan is a 4th degree Black Belt under Master Rolyer Gracie and is the highest ranking and most experienced instructor in the area! You can rest assured that you and / or your child is receiving the best CERTIFIED instruction! 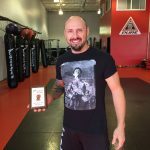 Years this school has been a major force in MMA and BJJ earning 5 Provincial BJJ titles as Team Ascension/Carson Gracie Team with Salvosa BJJ since 2009. 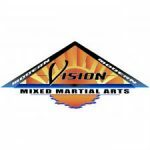 Modern Vision MMA is a State of the Art Facility including a full-service 24 hour fitness facility. 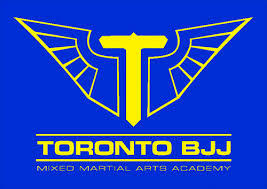 Over 20 MMA titles have been won by athletes out of this gym as well as IBJJF Mundials Medallists. A fun environment with a strong team foundation it is not only a great facility to train in but an amazing positive environment. All instructors are Mixed Martial Artists and all Head Instructors are professional Mixed Martial Artists with University or College educations.